As someone who constantly looks back on nostalgia with both loathsome wonderment and reverence, I’ve made an unofficial study of the balance between emotion and honest assessment. I can enjoy movies I know to be objectively bad because they meant something in my youth — they were vital components of my everyday existence. As our perspectives change, so too does the world around us. Take for example Rocky IV, which I rewatched recently to prep for an upcoming Cinema Shame episode on the entire Rocky series. In 2017 this movie feels positively alien. It features a montage made up of montages and a “Can’t We All Just Get Along” Cold War plea. In the late 1980’s, however, I watched Rocky IV on a regular loop. It wasn’t just the movie, though. It was the hushed buzz around the school when we talked about Ivan Drago killing Apollo Creed. It was that Russian crowd chanting Rocky’s name, our hero cloaked in an American flag, Survivor songs on an endless loop. A near-perfect calculation of sound and image — something I like to call synesthesia nostalgia. 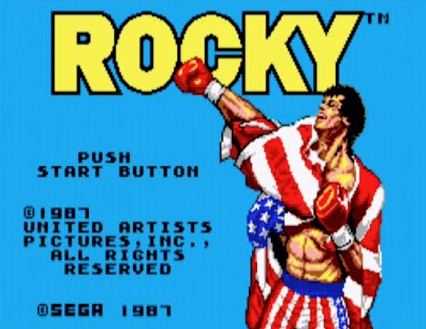 Not coincidentally, Rocky Balboa has inspired video game titles as well, from 1987’s Rocky for the Sega Master System to 2002’s Rocky for the Playstation 2. The latter of which is actually a rather solid boxing sim. The former, well, we’ll likely tackle that in this bl-g at a later date. I’m hoping Al Bundy sports this t-shirt in a future episode of Married With Children. Shout out to Eric Jones (@deacon05oc on Twitter) for inspiring this Photoshop diddling. Nostalgia plays an important role in our angsty, modern lives. It shackles us to our youth. It transports us to a time and place when the most pressing matter in our lives was figuring out how to find the damned Screw Attack in Super Metroid. As long as we can still see forward to the future while we huddle in our closets filled with nostalgic baubles, nostalgia protects a necessary escapism that neither time nor tide nor better judgment can erode. There is, however, a dark commercial underbelly to nostalgia that we scrub away as necessary. 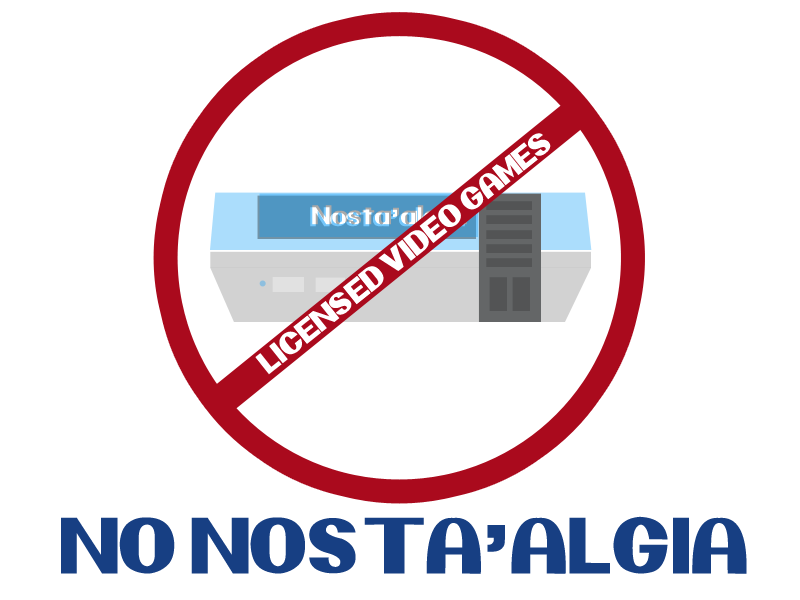 For nearly as long as home video game consoles have been a thing, so too has the licensed video game. These are games that borrowed the title of a film or television property in order to move half-baked video games that relied exclusively on the popularity of the source material to sell units. 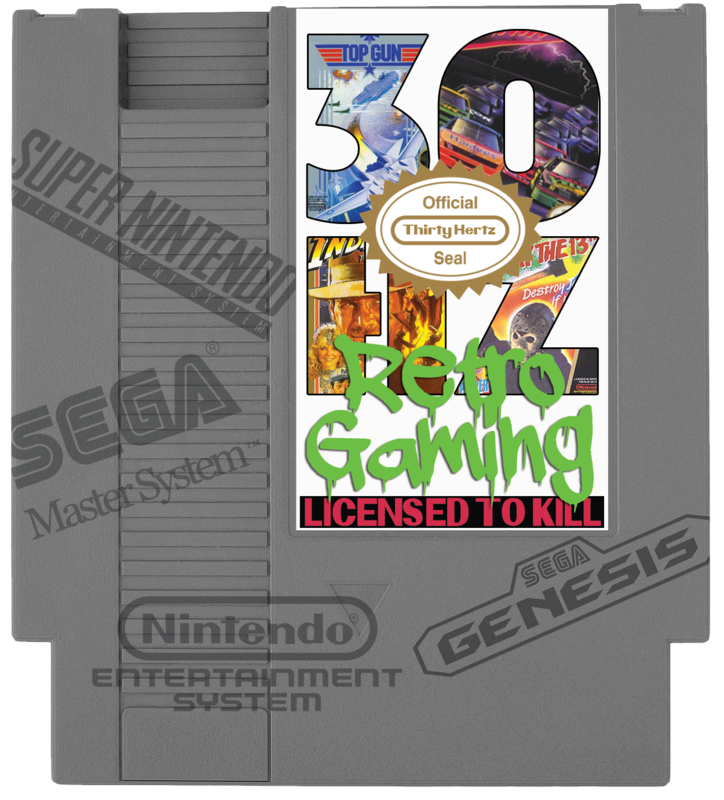 For every Batman (NES) there twenty (likely more) Goonies II‘s (NES) or Cool Worlds (SNES). These games milked our emotional attachment for every single penny. And, of course, you’ve likely heard the story about the legendary fate of Atari’s E.T. 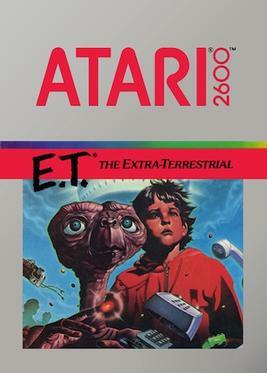 the Extra Terrestrial video game. Thousands of units were buried in a New Mexico landfill because Atari had nothing else to do with the unsold masses. The still-born game received widespread criticism and largely contributed to the first crash of the video game industry in 1983. The populous graveyard of movie-licensed video games features so many forgotten and largely unplayable titles that even as I was researching potential games to discuss in this bl-g series, I found dozens upon dozens of games I never knew existed. And I must confess I played a lot of (terrible) games in the 8- and 16-bit eras. As a young movie junkie, I often fell into the trap of the licensed video game. I had yet to learn some very important lessons about soulless commercialism. In this bl-g series that I’ve titled LICENSED TO KILL, I want to resurrect some of these games and place them alongside their cinematic counterparts — recalling the moment in pop-culture history as best as my foggy memory can muster. For some of you this might also be a trip through your own nostalgia. 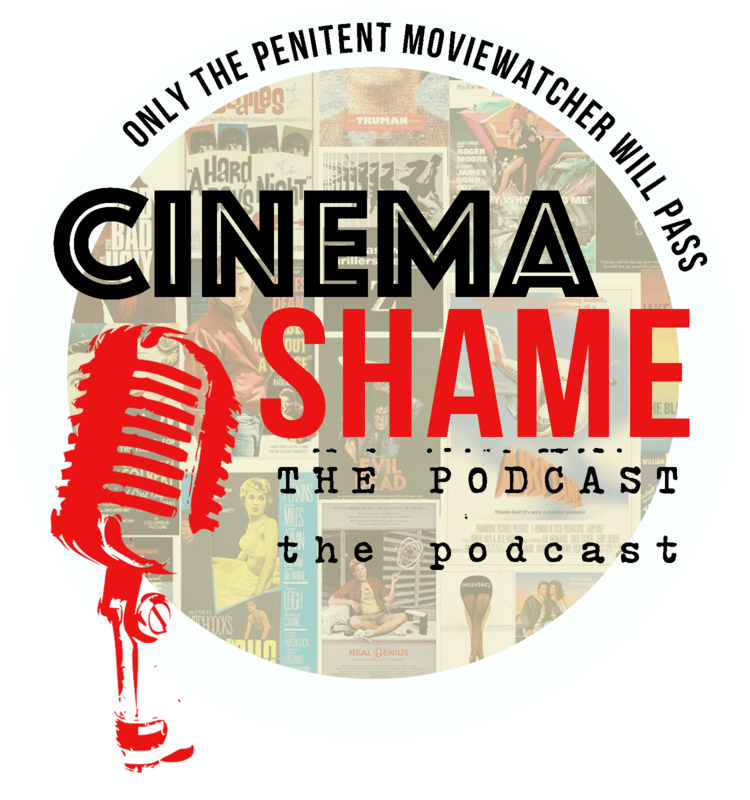 For others, this might be your first exposure to the unseemly world of greed and duplicity located at the intersection of movies and video games. 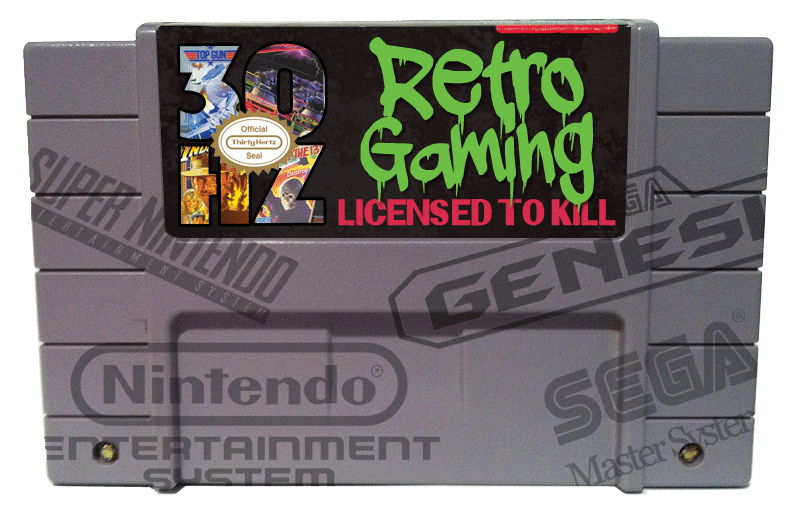 For each LICENSED TO KILL column, I’ll play another licensed game and revisit the corresponding film or source material. I’ll play the game for a minimum of an hour — no matter how excruciating that experience might be. In bl-g form, I’ll talk about the game, trying not to become the Angry Video Game Nerd, record some gameplay and share my experiences. The best part — for you, the reader anyway — is that you’ll get to pick the games I play. 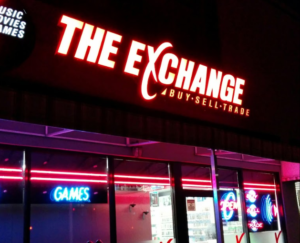 Every time I need a new game for a column, I’ll go to my local used game store (the Exchange here in Pittsburgh is my regular haunt) and tweet out a new poll based on the video games available in the cabinet. After fifteen minutes the top vote getter walks out of the store with me. All games will be played on the Retron 5 game system with the original console controllers. I’d have insisted on the proper console experience but I no longer have a working CRT television with necessary analog inputs for all my old game systems. So it goes. Recorded gameplay will come from an emulator and QuickTime video recording on my laptop. 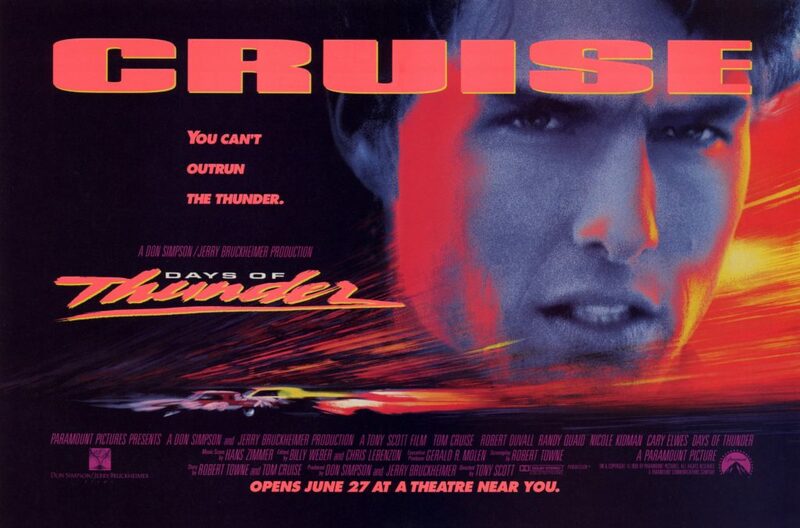 In a few weeks, my first column will feature Days of Thunder (NES) and will tie into to the #Bond_age_ Days of Thunder live tweet on August 30th. How better to celebrate a Days of Thunder licensed video game by tying it all together with a modern live tweet of the film. A successful cross-promotion for everybody and by everybody I mean me. And by success, I mean I get to spend more time typing words that someone will read. Let’s see if any of these games are still worth playing in 2017 or if they should all be dumped back in the landfill of forgotten cash grabs. I hope you’ll enjoy the series more than I enjoy playing the games. Having already dabbled in Days of Thunder for a couple of hours, I don’t see how any other outcome is possible.